Ensure your products make it to their destination by correctly packing your shipping boxes. Learn how to select the best box and properly secure your goods. 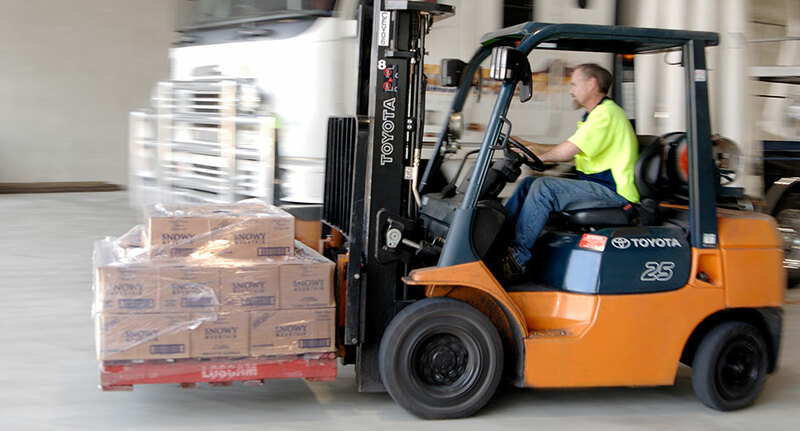 At Aussiefast, it is incredibly important to us that your shipment arrives on time and in immaculate condition. Our state-of-the-art warehouses and fleet are continually updated and reviewed to ensure the safety of your products. However, there is one thing that we can’t protect against – inferior box packaging. It is essential that you have packed your goods in the appropriate way, taking into consideration the size, weight and material components of the items. Only you know the specifics, and only you can help our couriers ensure it arrives safely. Not only that, but improperly packaged items can be a hazard to our couriers. The level of internal cushioning required depends on the fragility of the item you are shipping. Things like books will require very little internal cushioning compared to Faberge eggs, for example. Ideally, your goods should not move within the box they are placed in. In containers with more than one item, it is best to individually wrap fragile items so that there is a level of protection between them. Glass items must not touch other glass items. Fill the gaps between items with cushioning materials or filler to prevent the object from moving around and hitting each other during transportation. It is also important that your objects do not touch the edges or corners of the box. We recommend that your products are at least 6cm away from the edge, and that you fill the empty space with a cushioning material or filler. No matter whether you also use pallets and crates, placing your products in boxes is the best way to package your goods. However, it is very easy to make mistakes when selecting your boxes. It must be big enough to fit your items and still allow the recommended internal cushioning and 6 cm gap from the edge. It is also important that the weight of your products and filler do not exceed the box’s maximum weight. This is often specified on the bottom of the box. It can be a good idea to place your box inside another one for larger and heavier products. This will give you peace of mind that the bottom is unlikely to give way during transportation. New boxes are best. Old boxes can become weak over time and may experience water damage which affects the integrity, as will any rips, punctures and tears to the box or flaps. Boxes opening or coming apart during transit is one of the biggest causes of damage. If this happens in the back of a truck halfway through a cross-country journey, there’s nothing anyone can do until the box reaches its destination. The tape itself must be of a high quality and at least 5cm wide. The best to use are pressure-sensitive plastic tape, water-activated paper tape or waiter-activated reinforced tape. Use the ‘H’ taping method. Tape along the middle seam and along the ‘openings’ at each end. Double layer the tape to increase the strength. Never use masking tape, sticky tape, scotch tape, duct tape or string. Proper labelling can ensure that the couriers will know how to properly handle your shipment. Information such as ‘this way up’, ‘fragile handle with care’, ‘keep dry’, should be labelled clearly and with industry standard stickers. It is also very important to ensure your freight is clearly labelled with the receiver’s name and address and any delivery details. It is important to remove old labels and use ones that are relevant and easy to read. If you need to send a large number of boxes to one location, using pallets can provide additional protection and stability. If your boxes are a standard size, packing them directly on top of each other in rows is the best method. If your boxes are different sizes, it is best to interlock the boxes so that there are no gaps between them, like a game of Tetris. Aim for an even shape and height as this will increase the pallet’s stability. Pack the irregular shaped items last. Place the heavier and larger boxes on the bottom of the pallet. Don’t pack the items too high. Make sure that the base of the pallet is filled in, to increase stability and decrease wastage when it comes to wrapping the pallet. If you need more information or are unsure about any element of the packing process, please contact Aussiefast today.